Dean Rojas takes a different approach when breaking down flooded bodies of water. Over the years, Dean Rojas has earned a reputation for being one of the most consistent anglers across both pro circuits, but his take on fishing flooded bodies of water is a little different from others. He’d rather find a pattern all to himself out away from all the newly-submerged cover rather than beat the bank with the majority of the field. 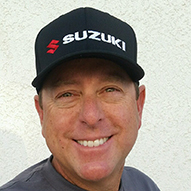 Give Dean Rojas a selfish wish- when the Bassmaster Tour rolled into the hometowns of some of the best anglers, he’d have the lake flood out. Before the first cast, many anglers would be taken out of the game if they can’t ditch their prior knowledge and adapt to the rapidly changing conditions. When targeting rivers systems, Rojas noted there often isn’t much in the way of vegetation. Instead, there’ll be rocks or a little ditch that dumps into the river that creates an eddy. He’ll also keep an eye open for any type of irregularities on the bank itself or an object or structure that blocks the current. Rojas will go against the grain and not barge into the newly flooded bushes as many of his competitors will. “I tend to go the opposite and look for rock and any type of harder structure,” he said, adding that retaining walls along houses, rip rap or launch ramps are what he seeks out. Once largemouth have acclimated to the high water conditions, there will be an abundance of shad getting ready to spawn. Rojas not only pays attention to where the shad are, but tries to figure where they’ll be heading next and what type of structure they’re relating to. “If you’re practicing for a 4-day tourney, those bushes get beat up,” he said. While it might not be the winning pattern, Rojas can live with that since no one else will be fishing around him. He’s earned plenty of top-10s by marching to the beat of his own drum. Rojas finds many spots by reading the contour of the land. He’ll idle and visualize how the shoreline continues into the lake and near his boat. Rojas knows he’s literally going to have to drop his bait on their head under such conditions since they’re not apt to move very far to hit a lure. When faced with warm, muddy water that is above the normal water level, he’ll speed it up using a crankbait since it dives deeper or a spinnerbait. A frog can also be a key bait. Rojas recalled the 2004 Bassmaster Classic oatn Lake Wylie where he placed 4th under similar conditions skipping a frog beneath undercut banks and overhanging trees. That was an important lesson for Rojas early on in his frog fishing journey. It was also a lesson that made his peers take notice. In the spring when it’s muddy, the original SPRO Bronzeye Frog excels. Even in muddy water, he won’t insert rattles into the frog fearing they compromise the frogs’ hooking power by not fully collapsing. Using a Duckett Fishing Dean Rojas Terex frog rod, he’ll alternate between the 7-foot version around tight quarters and the 7-foot, 4-inch model designed for larger baits and matted vegetation. A Duckett Fishing 360R reel spooled with 60-to 80-pound Sunline FX2 braid is his preference. Every once in a while flooding waters will unlock an area that previously might not have been navigable, like culverts. With the introduction of Google Earth, there aren’t many of these special areas left since anglers can study what is on the other side of the culvert without physically being there. 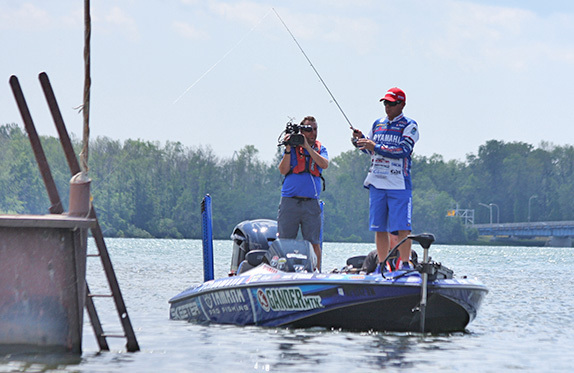 Once water levels do start receding, Rojas warns anglers to change their game plan to reflect the changing conditions. As the water moves, out so will the fish. He’ll also look for fish to go into the little channels leading away. If he were fishing a flat that had 3 feet of water on it when practice started and he got 25 bites, he knows trouble is looming. Should it drop by tournament time, he knows to be wary of the same area. “You have to move out to the next layer,” he noted. Jay Yelas was an early inspiration, Kevin VanDam and Rick Clunn. Lake Toho (Fla.) – "45-02"
Potomac River (Md.) - "I hope we never go back." "German food, like bratwurst and sauerkraut." "Rock (ZZ Top and Def Leppard) and also country (George Strait). It depends what kind of mood I'm in." President George W. Bush - "I just think he was a good president, and I always liked his dad. I like his whole attitude on everything." "I enjoy spending time with my family, I'm a big boat-racing fan and I like working on my vintage Mustangs." "It's something I've always wanted to do. I just love it so much."